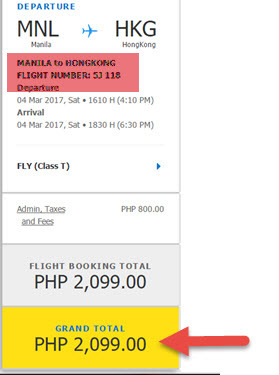 For those looking for promo tickets for your trips on the next few months, check this Cebu Pacific seat sale February, March, April 2017! 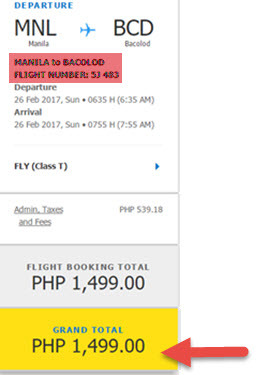 The new Cebu Pacific promo tickets 2017 can be availed for travel to select domestic and international destinations of the budget airline. As low as P1,499 can be booked for local Philippine trips to Luzon and Visayas routes while you can fly to places in Mindanao for only P2,299. Travel to Hongkong, Macau or Singapore for P2,099. Other Asian routes cost as low as P2,799 while flights to Japan is P4,299. Book the low fares until January 18, 2017. Promo tickets are limited and good for one-way trip. 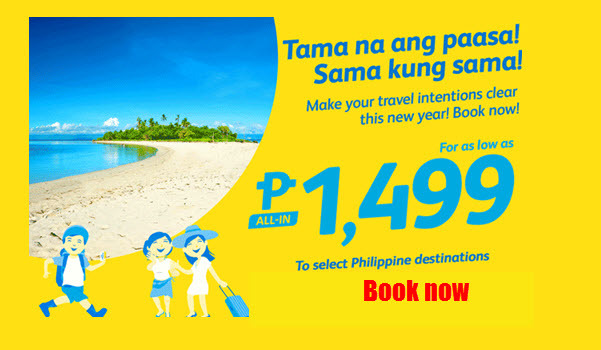 The Cebu Pacific sale tickets can be booked via online booking at www.cebupacificair.com or by buying the cheap tickets at ticket offices and travel agencies. No Promo Code is needed when booking these low fares. Read this ONLINE BOOKING GUIDE when you need help in booking your tickets online. Purchase a Prepaid Baggage Allowance during booking and up to 4 hours prior to your flight departure. This is cheaper than paying the checked baggage fees at the airport. Check this checked baggage fees of airlines for more info. Book the sale tickets the soonest possible time. Promo seats are limited and may not be available on all flights! Follow our Facebook: PISO FARE TICKET for more airline promo fare, PISO FARE 2017- 2018, Cabin Crew hiring and travel updates!! !